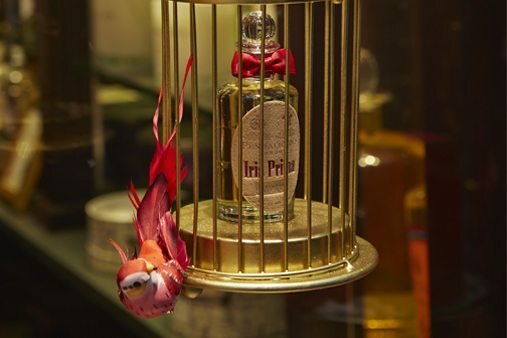 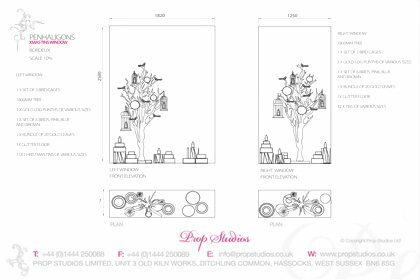 Prop Studios were commissioned by Penhaligon’s to design a Christmas display for 10 UK stores as well as multiple stores globally. 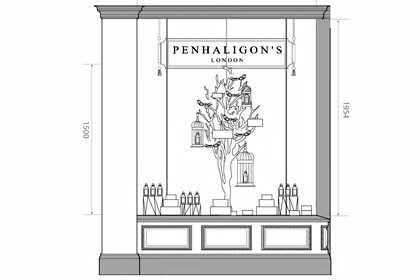 The delicate and intricate nature of the Penhaligon's product is reflected in this detailed international window scheme. 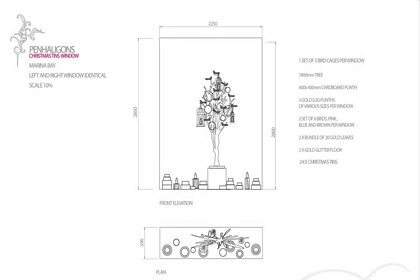 The concept was based around the company’s Christmas product which hold their delicate perfume bottles. 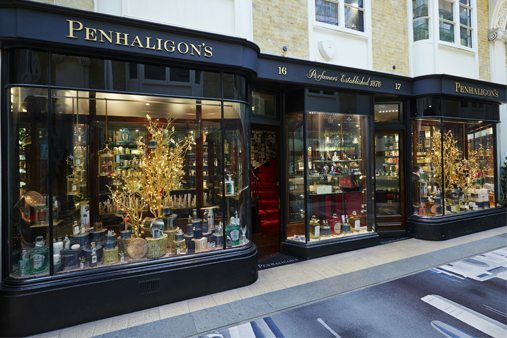 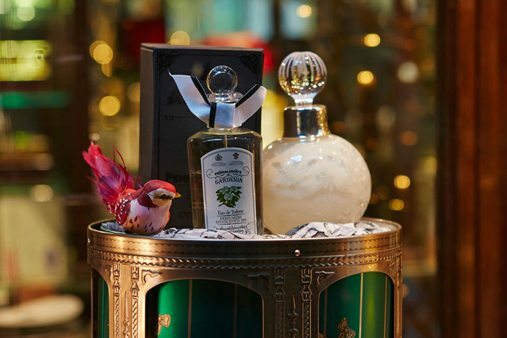 The brief was to create a golden glittery Christmas, keeping the luxury of Penhaligon’s at the forefront. 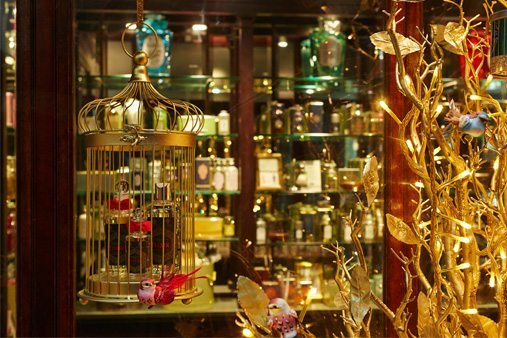 The Props team sourced gold manzanita trees with hand paper leaves, small feather birds, bird cages and wooden logs of varying sizes. 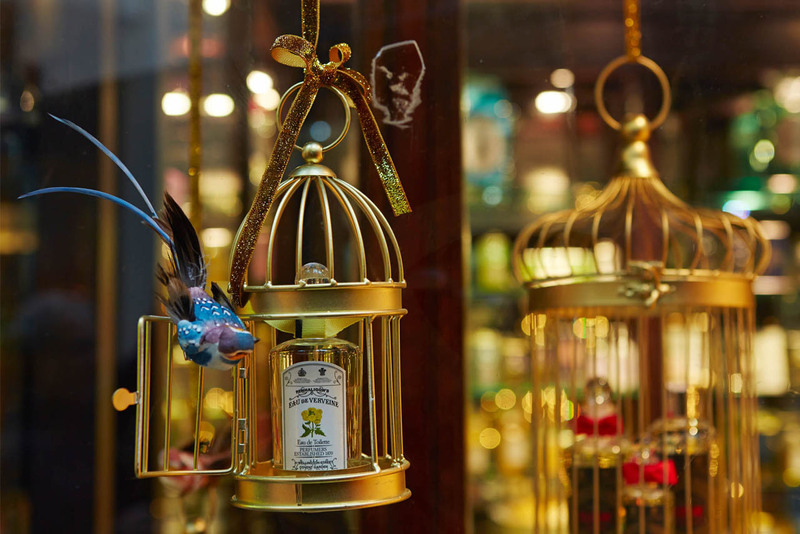 These were then all sprayed gold and glittered. 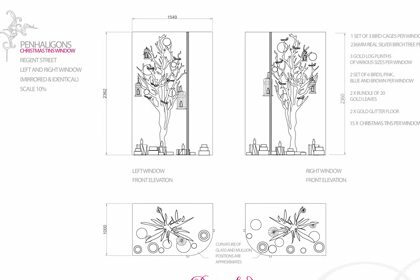 We also wrapped the trees in gold LED fairy lights and gave the floor a gold or mixed glitter flooring to add that extra sparkle. 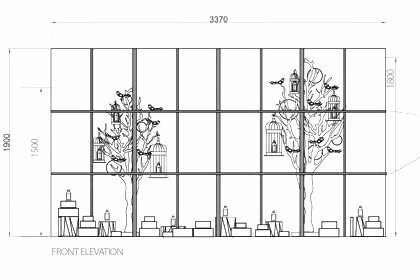 The windows were then dressed with the product and the tins hanging from the trees to create a golden wonderland.